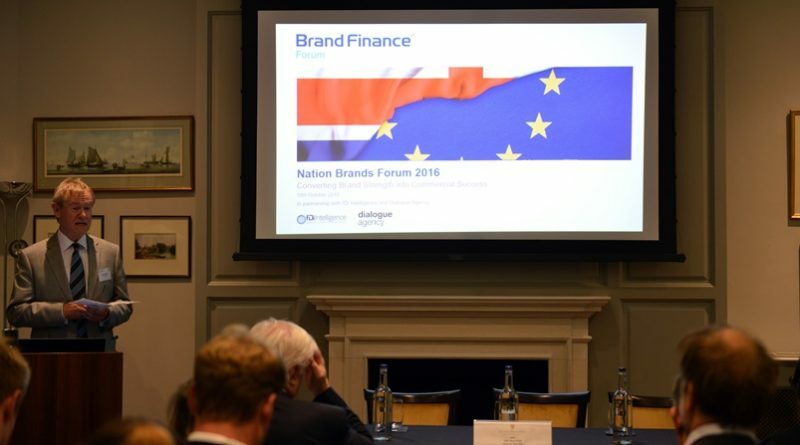 Last week Samantha North attended the Nation Brands Forum 2016 in London on behalf of The Place Brand Observer. The event was hosted by Brand Finance and featured a range of speakers who discussed Brand Finance’s new country ranking report, highlighting various perspectives including Spain, Iceland, and the UK. Here are some of the highlights of the event. Carlos Espinosa de los Monteros, High Commissioner for Brand Spain, began by explaining that when starting work on improving Spain’s brand, his organisation Marca España first tried to find out what the positioning of Spain was. They turned to Brand Finance for help. In 2012 Spain was in a serious position. People were convinced that Spain needed a bailout and that the World Bank and IMF must intervene. To regain credibility, Spain needed to attract world confidence. But it couldn’t do this overnight. It needed time to build up trust via performance. So after one year Spain started to show positive signs of growth in GDP, along with increasing exports, strong reduction of financial institutions. The deficit started to decline. According to de los Monteros, all this was done by government policy changes. Marca España simply tried to convey this message, that Spain’s companies were succeeding and Spain was going in the right direction. Today Spain is a stable economy once more, with 3% GDP growth. exports grow at 5% per year. “We have brought back a sense of balance with the help of all stakeholders. The brand of Spain has been escalating in the rankings as a result,” de los Monteros said. He pointed out that the Spanish tourism approach in particular has been strategic, following policies to attract those tourists who will benefit Spain the most, such as well-off Chinese tourists, not just Liverpool ’50 quid weekenders’, as he put it jokingly. 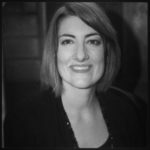 Courtney Fingar, editor in chief of FDI Intelligence magazine, discussed the linkages between nation brands and foreign direct investment. She pointed out that the FDI world has been a rocky landscape, since the peak year of 2008 when the crisis hit. Since then, there have been fewer projects, fewer jobs and less capital expenditure (capex) on a global scale. There are more investment promotion agencies, yet fewer projects on offer. Fingar cited a figure of 11,930 total greenfield projects available around the world at present. If all other things are equal, then nation brand can be a differentiator. For example, India has surpassed both China and the US and is now ‘rampaging’ across the FDI world. The recent ‘Incredible India’ campaign is a particularly good example of promoting a country effectively for both tourism and investment. Having a strong reputation for FDI can boost the country image, but there can also be a disconnect between perceptions and reality when it comes to capex, especially in countries such as Egypt, Iran, which are not in the top 50 nation brands but have a lot of capex at present. In closing, Fingar highlighted another disconnect found in Scandinavian nations, which do well in brand indices but not so well in terms of FDI. Robert and Alex Haigh of Brand Finance gave us an overview of 2016, and the especially turbulent geopolitical backdrop that this year has experienced. The world is turning towards protectionism and turning away from cosmopolitanism and the open international order. These trends are illustrated by the rise of Donald Trump, the far right popularity in countries such as Hungary, and of course the Brexit vote and subsequent revealing of unpleasant undercurrents in the UK. The Haighs pointed out that, for the UK, much will depend on the outcome of trade negotiations next year. Openness is a key theme that all nation branding should be pursuing – not all Brexiters want to isolate Britain, this is mainly media narratives,” said Alex Haigh. In 2016 the China nation brand has also experienced a boost, moving away from its reputation for poor quality, low-cost mass-produced goods, in the same way as Japan and Korea did in previous decades. Huawei is one example of a strong and rising Chinese global brand associated with quality and innovation. In the case of Brazil, the Olympics were not a huge success for the country’s reputation, as the event simply brought to the surface many existing issues. This shows once again that major events are not a silver bullet for nation branding. David Riches, Executive Director of the British Chamber of Commerce, discussed the UK brand post-Brexit. He assured the audience that the UK brand remains strong, but said that it would be necessary to work harder to promote it. Our share of many markets is declining globally compared to certain countries. Riches said that branding ‘has a place’, but should not take over from efforts to build relationships in other ways. He also highlighted that there have been fundamental shifts within the UK, including an attempt to devolve brands from London to the other large cities e.g Birmingham and Manchester. The government created some rebrands, such as the “Northern Powerhouse”, and the “Midlands Engine”, but some work still needs to be done to clarify these images. There are some brilliant city brands within these, which translate across the world. There are also some cities developing brands around clusters, such as Sheffield, building up its capabilities in health, wellness and elite sport. This is very beneficial for the city for becoming known for its expertise in a niche area. Overall, the Nation Brands Forum provided an interesting opportunity to reflect on case studies from different countries, as well as to gain an overview of where the world could be heading next in terms of nation branding opportunities and evolution.